Food has the unique power to bring together family, neighbors, and strangers. The In the Kitchen series highlights the stories, knowledge, and recipes from residents, artists, and Chinatown community members. Drop in for 1 or all 3 classes that feature the culture-rich foods of the Asian community and connect with other participants and the instructor while enjoying your edible creations. Love the flavors of South Asian food and want to know how the right combinations and ratios so you can make delicious dishes at home? 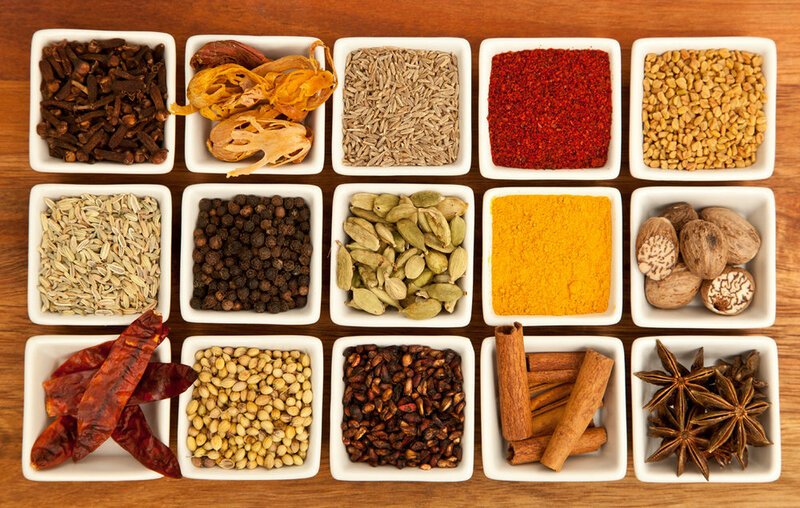 Come to this workshop to learn about 5 spices that are commonly used in South Asian kitchens. Materials will be provided. Please inform us if you have any allergies or dietary restrictions. The fee is non-refundable unless the class is cancelled by BCNC. About the Artist: Diya Reshamwala, MA is an artist and art therapist living in the Boston area. Painting has been her companion from her early years of covering every wall with crayons, to her graduate degree, most recently taking on a new life. Beginning in life, her paintings transform to hold the stories that were conjured by the act of making the mark. In the moment when a painting is complete, she revels in how close the world is to her. Her primary focus is on her canvas and oil paints. As an art therapist, she explores various materials with the primary intent of discovering the connection between the act of creating and the physical self. Diya has spent the past 8 years honing her skills to understand the needs of a group and offers solutions in art making to move forward toward achieving future goals.